BLU Products' new flagship device is only 0.2 inches thick and has a case made of aluminum magnesium alloy, comes with a quad-core processor and 4G LTE connectivity, but sells unlocked for only $199 USD. US market leader in unlocked devices BLU Products has introduced quite a few new products at this year's CES and the headliner of this new line of products is Vivo Air, a 0.2-inch thick 4G LTE handset that comes with a premium design and offers great value. Blu Vivo Air is similar to the Apple iPhone 5S, with same side buttons and front sensors and lenses, although it has more rounded edges. According to the official press release, this handset is capable of achieving more than 30,000 points in the notorious AnTuTu benchmark. 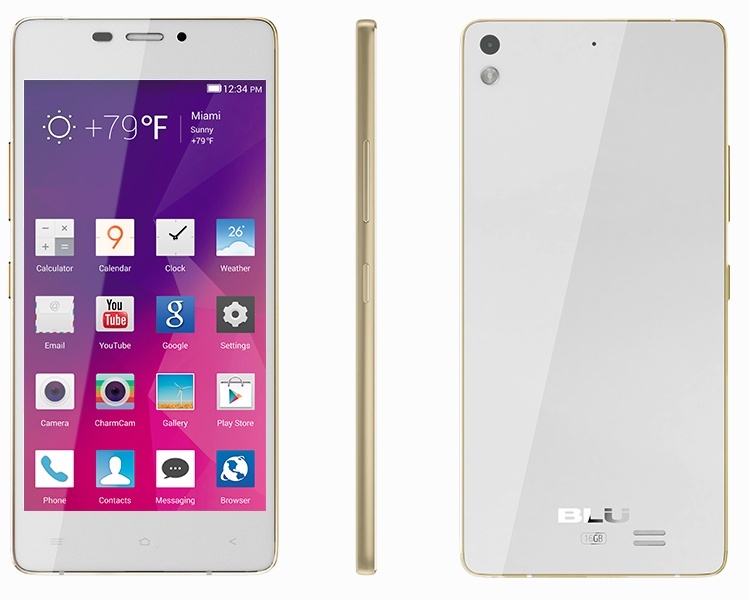 Blu Vivo Air will go on sale next week via Amazon and other retailers, priced at $199 USD. 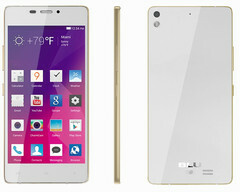 MIAMI, Jan. 6, 2015 /PRNewswire/ -- BLU Products, the market leader in unlocked devices in the United States, introduced new smartphone devices at International CES in Las Vegas, January 6-9, 2015. BLU Products will be showcasing their latest smartphones, located at Central Plaza, Exhibit # CP7. "BLU is dedicated to delivering choices to the consumer, driven by the demand for great looking smartphones that can do amazing things, priced for everyone," said Samuel Ohev-Zion, CEO of BLU Products. "With our new device launches customers will see our unrelenting focus on improving design, quality and user experience in addition to continuously driving down pricing." The VIVO Air is the fifth generation of the BLU VIVO series featuring Super AMOLED display technology, featuring remarkable advancements in technology and design, resulting in the thinnest (5.1mm) and lightest (sub 100g) smartphone device available in the Americas. Built out of one solid block of aluminum magnesium alloy using the latest CNC and antenna technologies, then covered with a Corning Gorilla glass 3 shell on both the front and back for improved damage resistance. The result is a remarkably premium and beautiful device with a lasting first impression and unique feel in hand. The Vivo Air is powered by a Mediatek MT6592 chipset, which translates into an Octa-Core Cortex-A7 processor at 1.7GHz, Mali-450MP4 GPU and 1GB of RAM resulting in an AnTuTu score of over 30,000. Images come to life with a 4.8-inch Super AMOLED display with 306ppi, resulting in an extremely vivid and bright display, coupled with an 8.0 mega pixel main camera plus 5 mega pixel front facing camera.